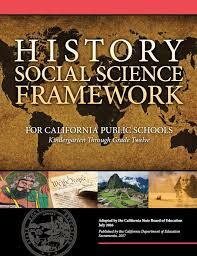 The Common Core Standards for History is tied to the English Language Arts and Literacy standards. Just as students must learn to read, write, speak, listen, and use language effectively in a variety of content areas, so too must the Standards specify the literacy skills and understandings required for college and career readiness in multiple disciplines. The main goals of the literacy standards for the secondary level are based on the expectation that teachers of ELA, history/social studies, science, and technical subjects use their expertise to help students meet the particular challenges of reading, writing, speaking, listening, and language in those content areas. Below are the 12th grade Common Core Standards for history and English Language Arts and Literature that address literacy this Capstone Project. 12.1 Students explain the fundamental principles and moral values of American democracy as expressed in the U.S. Constitution and other essential documents of American democracy. 12.1.6 Understand that the Bill of Rights limits the powers of the federal government and state governments. 12.2.1 Discuss the meaning and importance of each of the rights guaranteed under the Bill of Rights and how each is secured (e.g., freedom of religion, speech, press, assembly, petition, privacy). 12.2.2 Explain how economic rights are secured and their importance to the individual and to society. 12.2.4 Understand the obligations of civic-mindedness, including voting, being informed on civic issues, volunteering and performing public service, and serving in the military or alternative service. 12.2.5 Describe the reciprocity between rights and obligations; that is, why enjoyment of one’s rights entails respect for the rights of others. 12.3.1 Explain how civil society provides opportunities for individuals to associate for social, cultural, religious, economic, and political purposes. 12.3.2 Explain how civil society makes it possible for people, individually or in association with others, to bring their influence to bear on government in ways other than voting and elections. 12.6.1 Analyze the origin, development, and role of political parties, noting those occasional periods in which there was only one major party or were more than two major parties. 12.6.4 Describe the means that citizens use to participate in the political process (e.g., voting, campaigning, lobbying, filing a legal challenge, demonstrating, petitioning, picketing, running for political office). 12.6.5 Discuss the features of direct democracy in numerous states (e.g., the process of referendums, recall elections). 12.6.6 Analyze trends in voter turnout; the causes and effects of reapportionment and redistricting, with special attention to spatial districting and the rights of minorities; and the function of the Electoral College. 12.8 Students evaluate and take and defend positions on the influence of the media on American political life. 12.1 Students understand common economic terms and concepts and economic reasoning. 12.2 Students analyze the elements of America’s market economy in a global setting. 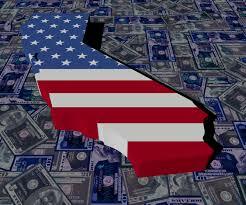 12.3 Students analyze the influence of the federal government on the American economy.